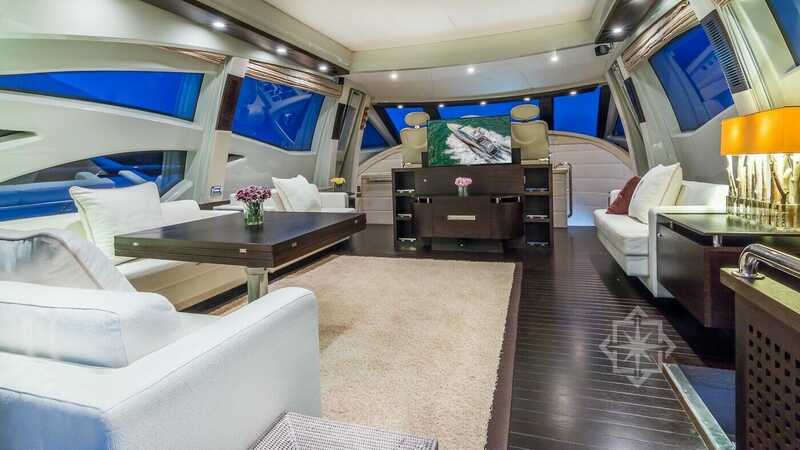 This super luxury motor yacht is a dream come true for a day charter or longer journey sailing around the sunny South Florida waters and nearby Bahamas and the Florida Keys. 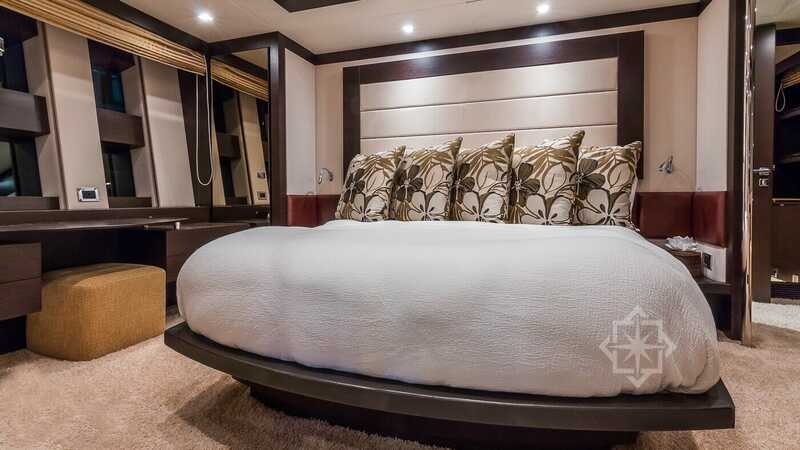 Her interior configuration has been designed to comfortably accommodate up to eight guests overnight in four air conditioned cabins comprised of a master suite, a VIP stateroom, and two twin cabins. 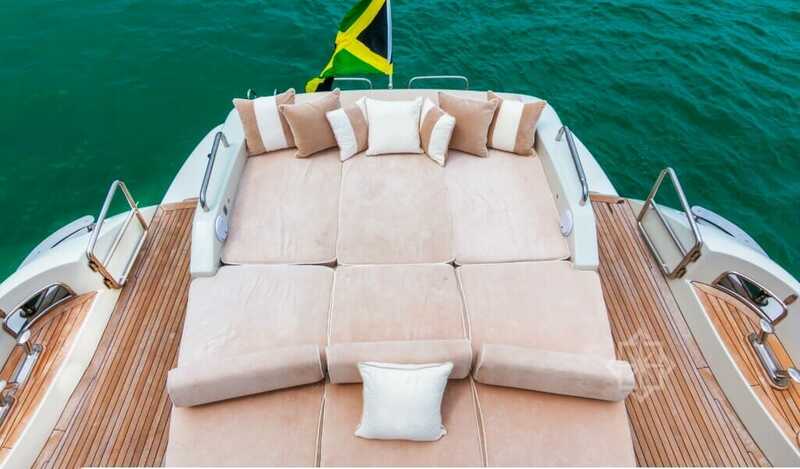 She can carry up to four crew members on board to ensure a relaxed and exciting voyage. 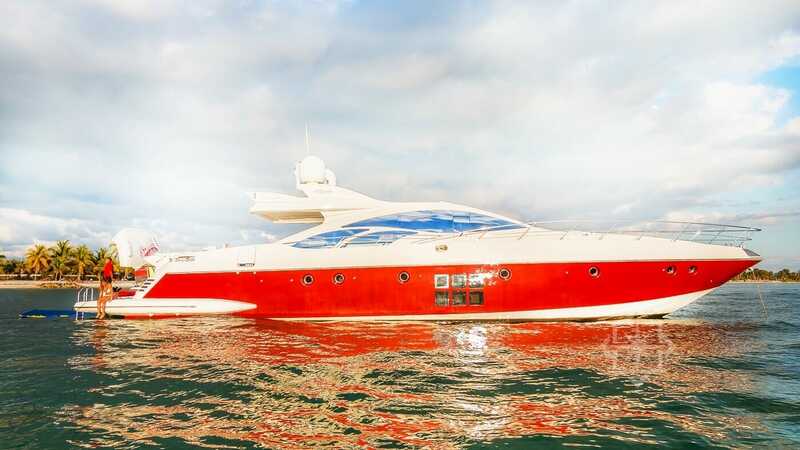 Powered by 2 MTU (V16 2000 M91) 2,000hp diesel engines and propelled by her arneson drives, the Azimut 86 S is capable of a top speed of forty-two knots, and comfortably cruises at an exhilarating thirty-seven knots. 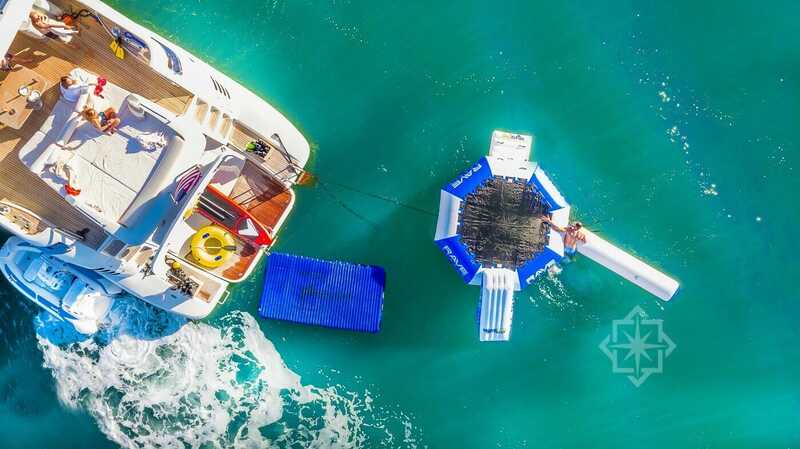 There are luxurious sun cushions, a swimming platform and plenty of water toys including snorkeling equipment for guests, a 3.2 Avon dinghy, floating mats, and a pull tube, and our outstanding chefs can accommodate any desires and dietary needs, with both interior and al fresco dining options available. 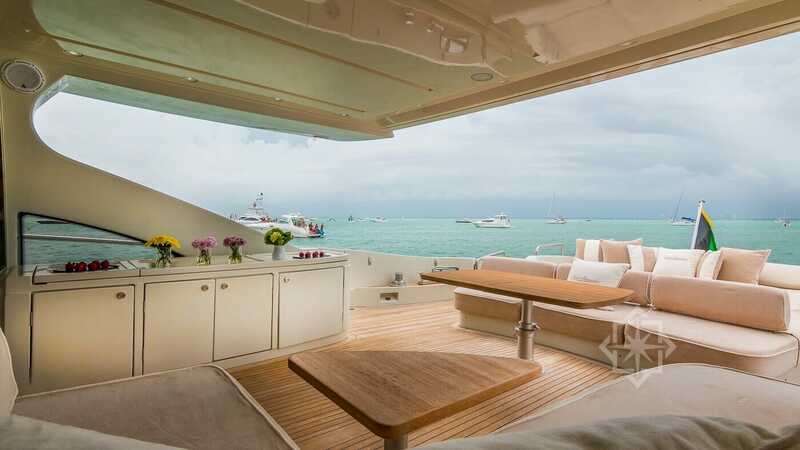 Call 786-724-1919 or Email us for more information!